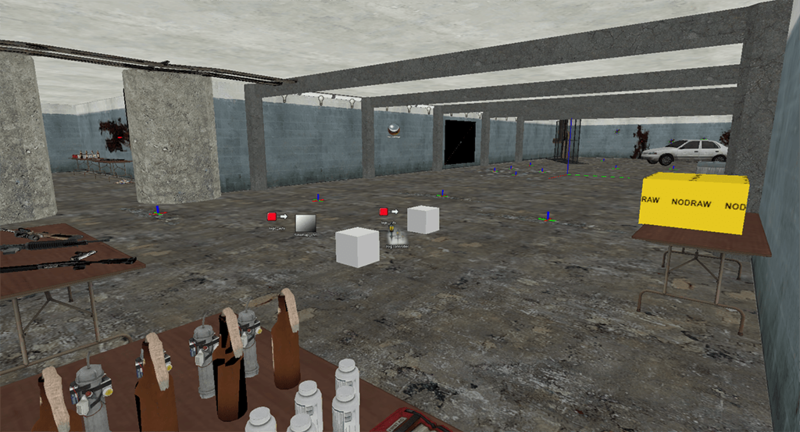 Among another map I was doing for Left 4 Dead at the time, I chose to get sidetracked in to another, smaller map. In addition, I wanted to see if it was possible to create a survival map that would make survival much easier than standard survival maps. Thus Survival Tunnel was created. As simple as it comes, there are 2 basic sections to defend from; both featuring near-unlimited weapons, ammo, pills, med kits, pipe bombs, and molotov cocktails. Granted that doesn’t mean you can just relax the entire time as tank battles may be more difficult given the small map size. I was in the process of creating a .vpk file for it but never could get it to work correctly, so since I have no plans of distributing the map publicly anyway, I thought I would just release the map files as-is.